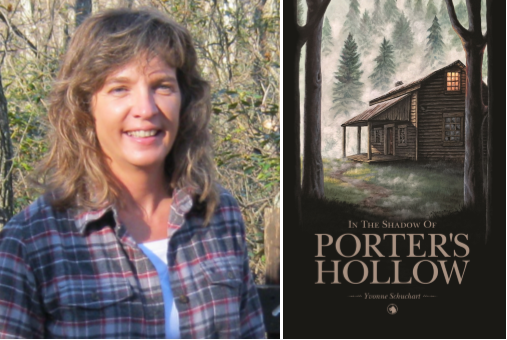 This author is a budding writer who lives in south central Pennsylvania, a place of natural beauty and inspiration. I met her after the 2015 York Book Expo when she joined my Year of the Book writing workshop … and golly! … what she’s accomplished in the last 8 months! Newly widowed, Laura Evans starts receiving phone calls from someone begging her to return to her roots in a small town in North Carolina. But a decades-old family secret is about to be resurrected, and it’s shrouded in an evil Laura never knew existed. Somehow, she must find a way to forgive those she’s loved most for their involvement, including a father she can barely remember, an emotionally distant mother, and a cold, impersonal and now deceased husband, while struggling to forgive herself for becoming the person she never meant to be. Yet, with something evil and other-worldly stalking her, will she be able to get to the truth and overcome it all without losing her self? Donna M. Ferguson lives with her husband near the Heritage Rail Trail County Park in southern Pennsylvania. She is a retired teacher who taught special needs preschool and third grade students in York County schools. Donna enjoys illustrating her own books. I met her in 2012 during my very first year of workshops at Paul Smith Library when she was busy working on the first book in her series, Rail Trail Kitten. 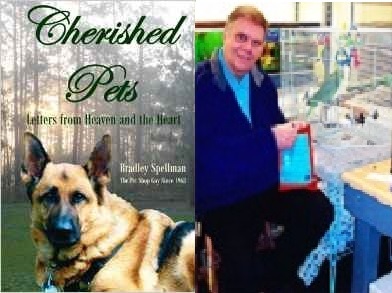 Author Brad Spellman is the owner of York Pet Supply and an animal lover! I met Brad through one of his customers Ed McCloskey and fell hard for these short stories shared from the heart. Cherished Pets is a collection of true stories from pet owners throughout the United States and Canada. Have you ever loved and lost a pet?